Is anyone as big a fan of 101 Dalmatians as we are? Because we think we just found the real-life version of Roger and Anita. Okay, so maybe there’s no house full of puppies and no evil fur-monger. But, British couple Claire Johnson and Mark Gaffey met after their dogs fell in love. Seriously. You just can’t make this stuff up. 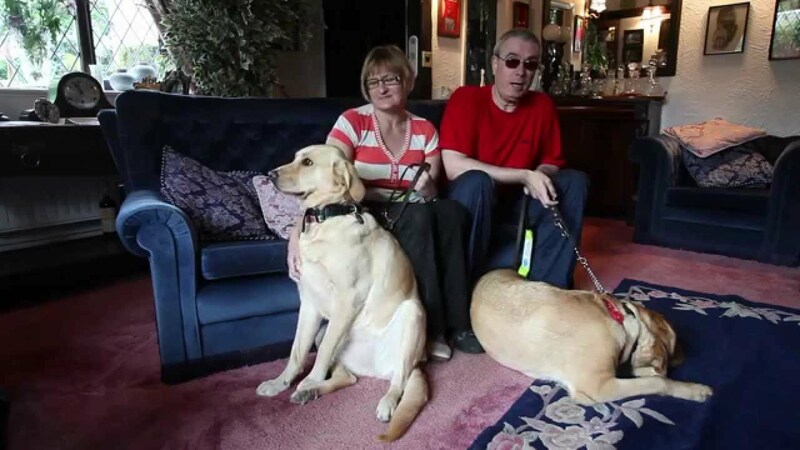 Johnson and Gaffey are both blind and found themselves at the same guide dog training program. They were paired up with seeing-eye dogs who took an immediate liking to each other — and they eventually became inseparable. Their humans soon realized that they lived just a mile from each other back at home, and decided to let the dogs have play dates when the training program ended. Well, one thing led to another, and Claire and Mark ended up tying the knot this past weekend. Naturally, the two pups served as ring bearers in the adorable wedding. Check out their full story over at The Dodo and watch the video below. Just try not to shed a tear of happiness.